CRUCIAL. Red Sea Camels vows to shock the Zebras with a style. 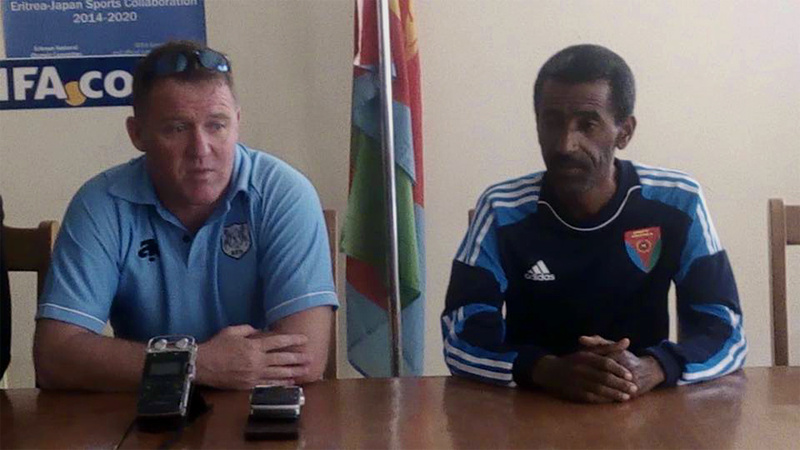 Eritrea will look to grab a crucial victory over Botswana in the 2018 FIFA World Cup qualification (CAF) first leg match at the Cicero National Stadium in Asmara on Saturday. Kick off is 16hrs00 local time and would be live on ERI-TV. The Red Sea Camels have been boosted by the World’s football governing body FIFA’s decision to approve Henk Goitom’s request to play for his native country. The 31-year-old experienced centre forward was born in Sweden, and he only represented the European country at under-21 level between 2005, and 2006. Botswana ranked 111 and the Red Sea Camels at 202 spot. But FIFA rankings never determine the outcome of any game. After all, the Red Sea Camels are still a closed book to the Zebras technical team. Therefore, it would be suicidal for the Zebras to undermine their encounter. Red Sea Camels coach, Alemseged Efrem, was quoted saying he was working around the clock to introduce young players and assemble a team from scratch both from local talents and professional players that ultimately aim to become the power house of East Africa. The Eritrean national team coach was confident his boys will gun down the Zebras with a style given their home ground advantage and the aggressive, victory hungry players. Zebras coach, Peter Butler, said moral is high and his boys are looking forward for the Saturday’s encounter. He said, his team is still beaming with confidence from last month’s 1-0 victory over Burkina Faso in the AFCON qualifier. In their last away competitive fixture, however, Botswana were brushed aside 2-0 by Uganda in the AFCON qualifier match Group D opening encounter in June. Therefore, a victory over Eritrea on Saturday afternoon is extremely crucial. Experienced Egyptian referee Ibrahim Nour El Din will be in charge of the encounter on match day. The Zebras will be back home on Sunday. The all important second leg match will be played at the new Francistown Stadium in Francistown on Tuesday night starting 20hrs00. The winner on aggregate will take on Mali in the second round of the World Cup qualification. 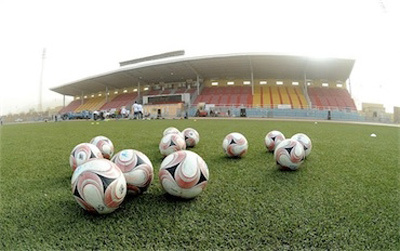 * Africanfootball.com and Botsawana Daily News contributed to the above story.